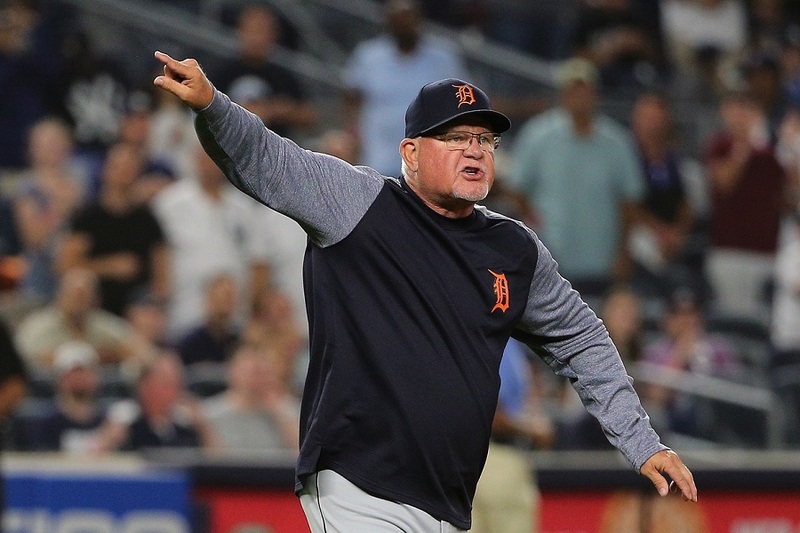 Ron Gardenhire was stepping into a tough spot when he took the managerial position in Detroit. Beyond Miguel Cabrera, the line-up is full of relatively unknown players. Gardy might have to harken back to his early years in Minnesota when he was able to turn a rag-tag group of young players into the cream of the crop in the AL Central. Detroit won four straight AL Central titles from 2011-14. Can Gardy steer them back in the right direction? Josh Harrison, a two-time All-Star, will take over at second base. The Pirates declined his $10.5 million option and Harrison signed with Detroit on a one-year, $2 million deal. He can play multiple positions, but he figures to get the majority of his time at second base. During the last three seasons, he has hit .270/.317/.398. Jordy Mercer joins the Tigers from the Pirates organization. He hopes to fill the middle infield hole left by Jose Iglesias. Over the last three seasons, he has hit .254/.324/.387 while averaging 10 home runs and 25 doubles. According to SABR’s Defensive Index, he was the third worst defensive shortstop in the NL last season. Matt Moore and Tyson Ross signed one-year pacts in Detroit, and they will fight to be in the rotation. Moore was once considered one of the best pitching prospects in the game. Over the last three seasons, he has posted a 5.20 ERA and a 1.46 WHIP. Tyson Ross has put up similar numbers over the same stretch with a 5.21 ERA and 1.44 WHIP. However, Moore has pitched 270 more innings than Ross. Victor Martinez retired at the end of last season and that leaves a hole in the Tigers offense. James McCann leaves a spot open behind the plate for Greyson Greiner to take over. Wilson pitched 60 innings or more in each of the last four seasons, but he wasn’t tendered a contract. Since 2015, Jose Iglesias has started a minimum of 119 games at shortstop. He was an All-Star in 2015. Cincinnati signed him to a minor league contract at the end of February. Due to an injury, he will get to begin the year as a starter for the Reds. It’s no secret that Detroit has been trying to deal Castellanos this off-season. He will be a free agent at season’s end. That being said, he is coming off a year where he hit .298/.354/.500 with 23 home runs and 46 doubles. Entering his age 27 season, he might be playing for a decent off-season contract. He’s played third base in the past, but he has shifted to the corner outfield in recent years. Corresponding with that shift has been a much-improved offensive player. His slugging percentage has been .490 or higher in each of the last three seasons. Can he be part of the solution in Detroit? Or will a hot start from Castellanos result in a trade before the deadline? It would be cool if there was a team that could take advantage of the chaos in the AL Central this year, I mean, besides Cleveland. Oh, well. John Hicks and Niko Goodrum both on the team.Nice to see the former Twin MILB players get some playing in.I was hoping they would pick up a few more. It's a nice synopsis of the Tigers and gives the readers a bit of perspective. I want the Tigers to be bad, so the Twins can take advantage :-). I do take issue with the assertion that Gardy turned a bunch of ragtag players into a force. The Twins had the base already built under Kelly. They were trending up. Gardy demonstrated in practically every situation that he was old school and formulaic, but was still blessed with having a very good, young roster when he stepped in. Nevertheless, his managerial gaffes against the Yankees in the 2004 playoffs should have gotten him fired, but let's just be happy that he is in charge of the Tigers now instead of the Twins. A Look Back To 2001: What If The Twins Drafted Mark Prior?